We've teamed up with AXA to offer builders, plumbers, electricians and other tradesmen 20% off their insurance. Join our builders' insurance group to get this deal. Are there any exclusions with AXA business insurance? How much does business insurance from AXA cost? 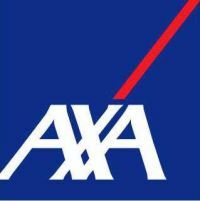 Are there any AXA business insurance promo codes or discounts? AXA offers a multitude of insurance products, including van insurance, residential and commercial landlord insurance, fleet and haulage insurance, commercial property insurance and business insurance. It also offers more traditional insurance products, such as car, home and travel cover. Get a quote from AXA for business insurance. AXA offers a wide range of business insurance options that may be useful for different types of business. Personal accident cover. This can pay out a lump sum of £2,000 to a principal, partner or director under the age of 75 if they die, are permanently disabled or lose a limb or their sight. AXA also offers a weekly benefit personal accident extra that can pay out a weekly wage until a principal, partner or director recovers from a temporary injury. You can purchase these products in combination with one another, meaning you can make a business insurance product that covers you for exactly what you need. Get a quote from AXA for business insurance here. AXA says its business insurance starts from £74 a year. This is based on how much 10% of AXA's customers paid between April and June 2017. In reality, the cost of business insurance will depend on a variety of factors. These include what type of business you are running, which types of business insurance you decide to purchase, what levels of business insurance you think you need, and whether you choose any optional extras. These disparate factors can make it hard to predict how much your business insurance will cost. The best way to find out how much you'll have to pay is to get a quote from AXA. We've launched a builders' insurance group with AXA that provides a 20% discount on your first year of AXA business insurance. This is on top of the 10% policy lifetime discount that AXA provides for customers who purchase online. Join the AXA builders' insurance group and get your discount. We couldn't find any dedicated reviews of AXA's business insurance. AXA's tradesmen insurance has been given a 3 Star rating by an independent financial reviewer. Its business insurance has been awarded a 2 Star rating. Most claims for business insurance can be made through AXA's claims line on 0345 600 2715. This line is open Monday to Friday, 9am to 5pm. AXA says you should call the company as soon as possible when making a claim, with your policy number and any information relevant to the claim. Join our builders' insurance group and get 20% off your first year of AXA business insurance.